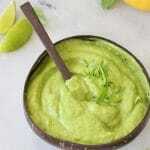 Vegan creamy avocado sauce recipe with mango, citrus and basil. 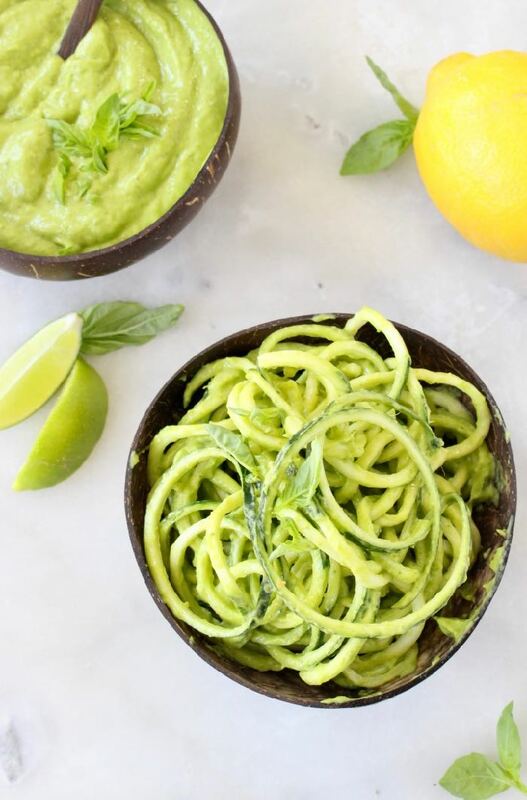 Oil-free, exotic and just perfect to toss with a summery pasta, zoodles, drizzled over jackfruit tacos, nachos, burritos, fajitas, spread on plant-based burgers or used as a dipping sauce with roasted sweet potatoes or fresh veggies. This right here is what you want to have handy and live off of all summer long. 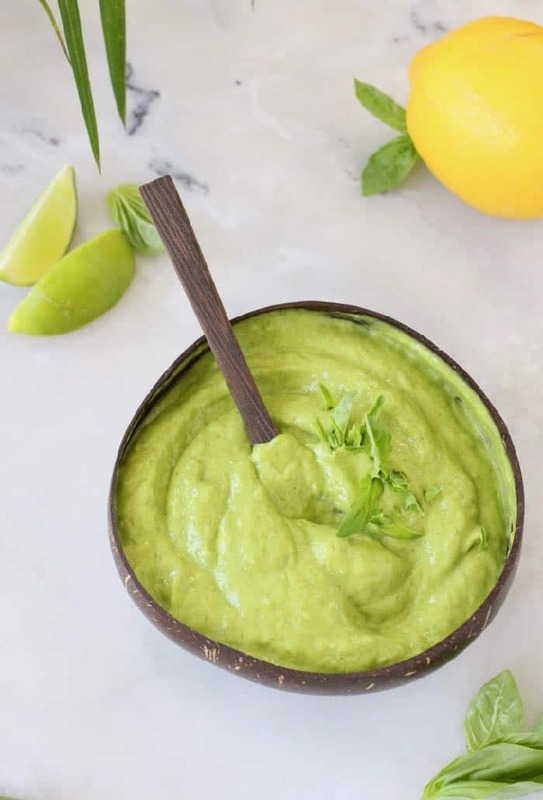 A riff on my popular savory mango sauce, this avocado sauce variation is 100% wfpb oil-free, raw and vegan, so enjoy as much of it as you want, quilt free baby. 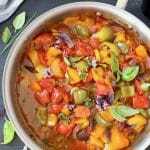 It really goes well with pretty much everything and thanks to lots of zesty lemon or lime juice it also keeps well in the fridge for a couple of days. Just make sure to store it in an airtight jar. I tossed mine with zoodles one night and cold soba the next. You could even mix spaghetti and zucchini noodles together and sprinkle with some of this everything bagel seasoning. So delicious! It’s super simple to make: just throw everything in a blender until smooth and creamy and voila: magic sauce in your face! Want to give your avocado sauce some Mexican flair ? Simply swap the basil with fresh cilantro, you can alternate Italian night and Taco Tuesdays. Like a boss! P.S. As always, If you make this recipe please come back here to rate it, snap a photo and tag me with #VeggieSociety on Instagram. 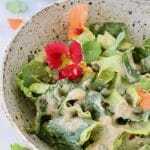 Vegan creamy avocado sauce recipe with mango, citrus and basil. 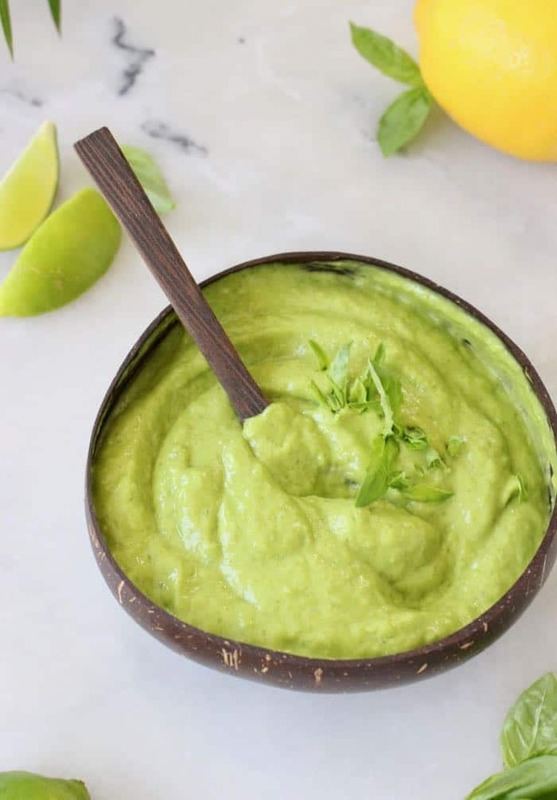 Add the mango, avocado, scallions, basil, lemon and a pinch of sea salt to a powerful blender. Process until creamy and smooth. Taste and add more lemon juice and sea salt to taste or a splash of water to thin out the sauce if desired. This sauce is absolutely incredible. 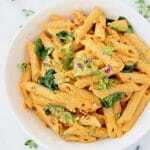 I make sure to always have avocados and mangos in my kitchen at all times so I can whip this up anytime. Completely in love, thank you Florentina!